Tithe.ly and Elvanto joined forces to put best-in-class church software into the hands of churches and ministries of every shape and size around the world! And we’re doing it at industry leading prices. As you can imagine, we’re excited about the two companies coming together, but we also know that you will have questions or concerns. With that in mind, we’ve compiled a simple FAQ for you to use. And we’ll continue to add answers to this post as more questions come up. If you have a question that is NOT answered below, please reach out on the Tithe.ly website and chat with us (chat bubble in bottom right of site) or email hello@tithe.ly or give us a ring at (424) 228 8870 (USA) or +61 731 07 1682 (Global). What are some of the benefits of Tithe.ly and Elvanto joining forces? We’re growing the team by adding six new engineers, one new data migration specialist, and one new graphic designer before the end of the year! With more coming in early 2019. The Tithe.ly support and customer success teams will jump into supporting Elvanto customers around the world resulting in better local time zones support and quicker response times. We are significantly enhancing the integration of Tithe.ly and Elvanto over the next few months. Look out for more updates here. By combining the platforms, we can deliver more significant features that extend into Tithe.ly custom church apps. For instance, you can check-in from your smartphone for kids ministry, use the small group finder in your custom church app, send push notifications to remind your pastoral team or volunteers about things they should be on the lookout for. And so much more! The new pricing ($50/mo) will save money for Elvanto customers who pay over $50/mo (US) today. Will the Elvanto team continue after the merger? Ben and the entire Elvanto team and platform are here to stay! They are amazing people who have built an astounding product, and they’re pumped to join forces with Tithe.ly. As a customer in Australia, does this now mean Elvanto is owned by a U.S. company? Elvanto Pty Ltd still exists and will continue on to hire staff, handle bank accounts, etc. If anything, this merger will mean more jobs for Australians as we grow our team. Will we have to pay more now with the new plans and pricing? Existing Elvanto customers will see no change in their pricing, and they will not be forced to make a change. That said, existing Elvanto customers who pay more than $50/mo will have the option to move into the new lower pricing and seamlessly use Tithe.ly Giving. The new pricing is for full use of the product and unlimited active adults. Will we have to use Tithe.ly Giving and Mobile App? As an Existing Elvanto customer, you will not be required to use Tithe.ly Giving or church apps. Current Elvanto customers and new customers are eligible for the Tithe.ly $50/mo (US) ChMS plan when using the Tithe.ly giving product. 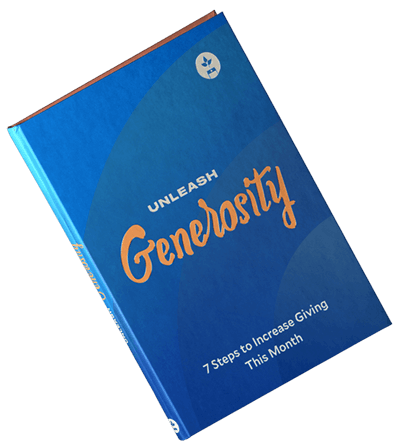 Usage of the Tithe.ly giving product is defined as having giving transactions processed on the platform via your church website, the giving app, text giving or administrative gift entry tools. There are no minimum requirement for number of transactions processed or dollars processed. If you are a current Elvanto customer and do no wish to use the giving product you can continue on your existing pricing/plan without any disruption to service. If you’re paying more than $50/mo (US) for Elvanto today and would like to understand the benefit and cost savings of switching to the new Tithe.ly ChMS plan at $50/mo (US), you can hop over to the Tithe.ly website and chat with us (chat bubble in bottom right of site), email hello@tithe.ly, or give us a ring at (424) 228-8870. What do I do if I’ve paid yearly for Elvanto and I want the new pricing? Hop over to the Tithe.ly website and chat with us (chat bubble in bottom right of site) or email hello@tithe.ly or give us a ring at (424) 228 8870. We will get you taken care of and ensure you get the new services, pricing, and that you’re not paying extra. Are there any limits or restrictions with the new $50/mo pricing plan? Unlike Elvanto’s previous tiered pricing, there are no limits on the new $50/mo plan. You have access to every feature in the church management system and there are no usage restrictions on the number of active adults or any other types of usage. Will I have to migrate off Elvanto onto a new system? Not at all! The platform that Elvanto built isn't going anywhere. In fact, we're in the process of extending the capabilities even more. What will happen is the platform built by the Elvanto team will be rebranded and take on the Tithe.ly ChMS name—so there will be no "migrations or moving systems." If you have a question that is NOT answered above, please reach out on the Tithe.ly website and chat with us (chat bubble in bottom right of site) or email hello@tithe.ly or give us a ring at (424) 228 8870 (USA) or +61 731 07 1682 (Global).